MASKerade: CASology 119 - Ghost! 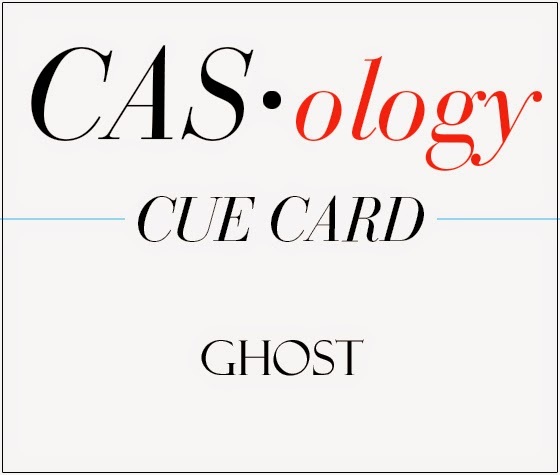 This week's CASology Cue Card is Ghost! I don't send a lot of Hallowe'en cards and I have a very limited number of stamps for the occasion. Some pumpkins, witches, skeletons, but no ghosts at all, actually. So I started searching through what I do have. Skateboard die from PTI. Pinking shears. Black enamel dots. An old 'boo!' (Recollections) and Hero Arts White Unicorn ink. Presto! Too cute!!! Love your little ghost! Now that is shopping your stash! This is brilliant and what a cute ghost it is! Something from nothing....so Ardyth! Love it! 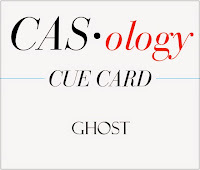 Very clever way to make a ghost, and I love the simplicity of this card. Oooh aren't you the crafty one, this is so cute Ardyth! Your ghost reminds me of pac man. Love the enamel dot eyes. So great to read how you made the ghost! With a lot of creativity there is so much you can make...Love this super CAS card! Skateboard die - brilliant! Makes for one seriously cute ghost! What a great idea to use a die in an other way than supposed to do. Thinking outside the box! Way to go! :) CAS perfection! Your resourcefulness and creativity really are endless! A skateboard die turned into a ghost...BRILLIANT! Love his button eyes & nose! 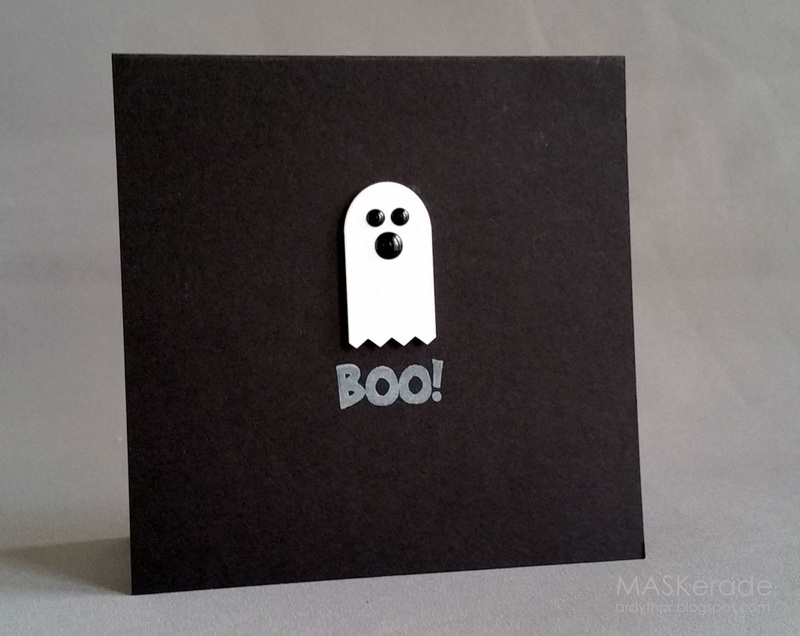 Ardyth, way to use what supplies you had to make an adorable ghost card! Cute!